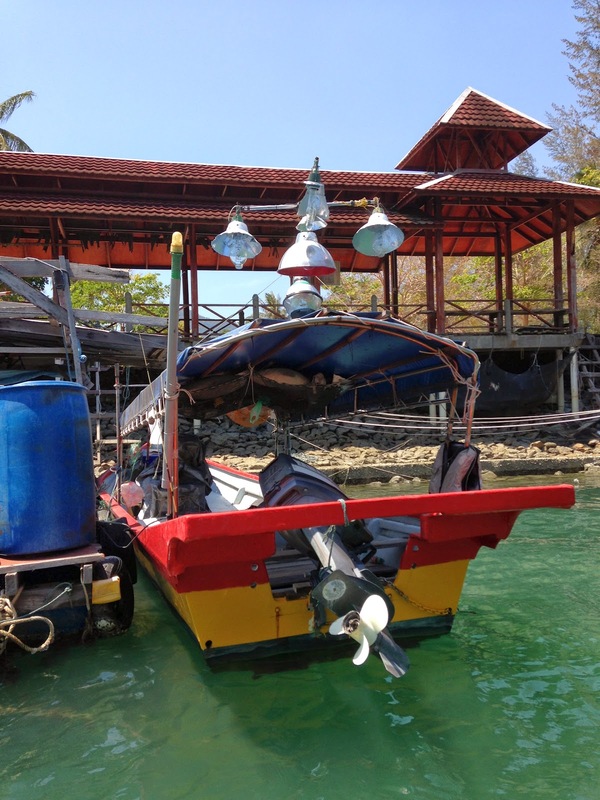 Ruthie and I had been anxious about Rutea’s splash back into the water, not because we were concerned about any of her systems/components but the Sea Lift that Pangkor Marina uses to launch boats had had a major failure and we weren’t sure it would be running at all. The staff at the marina was able to get it patched together and our splash was uneventful, other that Ruthie and I were delighted to be back in the water. Our refrigeration worked! We didn’t have to climb down-and-back-up a 12' extension ladder every time we needed to pee! It was cooler (well, maybe not but we convinced ourselves that it was). We only stayed at the dock in the marina for a couple of days before we cast off the dock lines and resumed our trip north. It felt so good to be underway again. 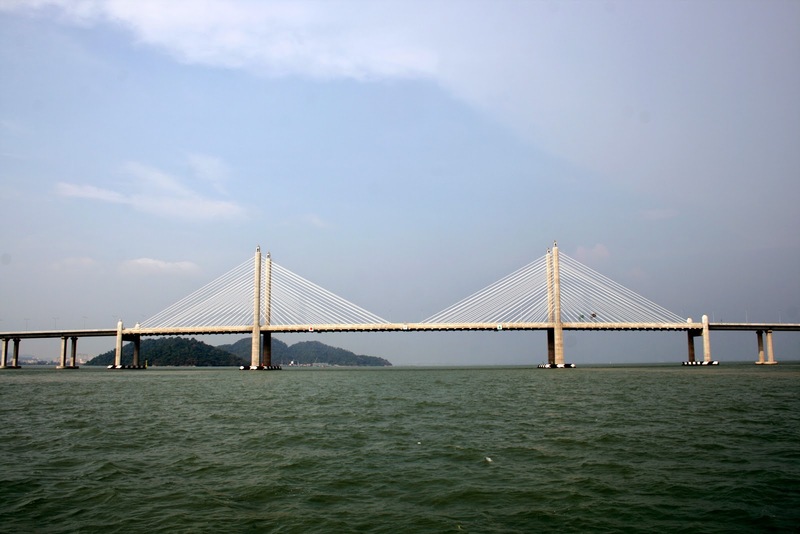 It took a couple of days to reach Penang Island, passing underneath the new, 23-kilometer long bridge (a section of which collapsed before construction was complete) before tucking in behind Palau Jerejak for the night. As luck would have it, we got to rendezvous with our friends, Hugh and Katie on the Kelly-Peterson 44 Elizabeth Jane II and they took us to shore in their brand new dinghy. 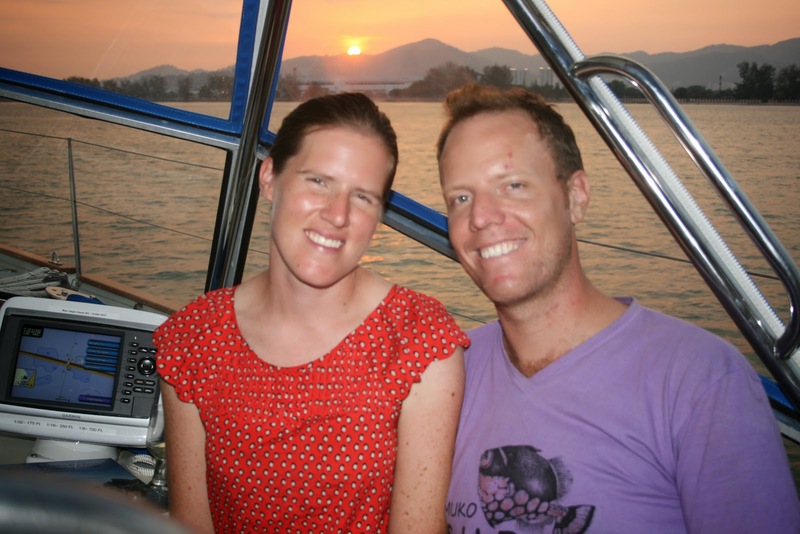 The following day we made our way to the north end of Penang Island and anchored in the Junk Anchorage (I don’t know why it’s called that but Rutea seemed right at home), where we went ashore for fantastic dinner. Departing the next morning just before dawn, we had the wind fill in and soon Rutea had a bone in her teeth once again. She was romping in the flat seas with a 20-25 knot wind and you could just feel her smiling. We reached the Langkawi archipelago and found a very well protected spot behind one of the 99 islands. Here we rendezvoused with more friends and moved the following morning to the anchorage in Talaga Bay. The islands in the Langkawi group are mostly limestone and mudstone but even though the sheer cliffs would typically indicate deep water, it can often be quite shallow right next to the cliffs. Regardless, the bottom is mostly thick mud and the holding good but hosing the sticky mud off the anchor and chain can be time consuming. Once settled just outside of the two man-made islands that protect the marina, we took the dink in and rented a car from the marina office for the day. “What is your boat’s name?” the woman behind the counter asked. We told her and she handed us the key to a late-model Proton, a Malaysian-built Diahatsu. “We’re not staying in the marina,” Ruthie offered but the woman just shrugged and walked away. No contract to sign, no credit card or driver’s license to be checked, no warning about returning the car low on fuel. True, we are on an island and there’s only so far we could go but it was the easiest car rental I had ever done. Lucky for us, our good friends, Randy and Jenny, on the Pacific Seacraft Mariah 31, Mystic, were already anchored at Talaga and we wasted no time in getting together with them. 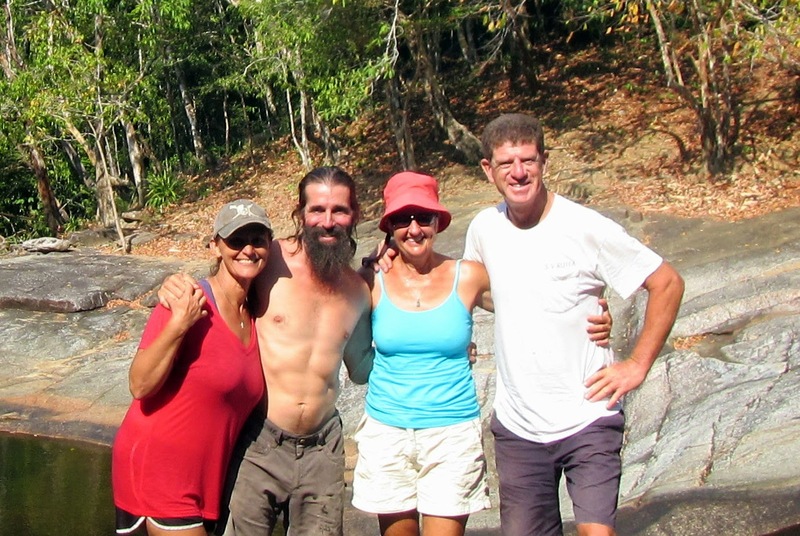 We had first met them in Mexico and we have rendezvoused with them all across the Pacific and Australia. While together in Talaga, we went for a hike, ate dinner together and Randy fixed our freezer as he's a brilliant refrigeration technician. Randy and Jenny are remarkable people; smart, unique, caring, brave - the list goes on - but even though they are not 'typical', they do typify the people we've met while cruising. The relationships we have formed with people we've met have often developed into deep friendships that we'll treasure for the rest of our lives. Perhaps its due to the shared experiences we have with each other but its been one of the highlights of cruising for me. In the late afternoon there was always a steady stream of small squid boats heading out for their nightly vigil. 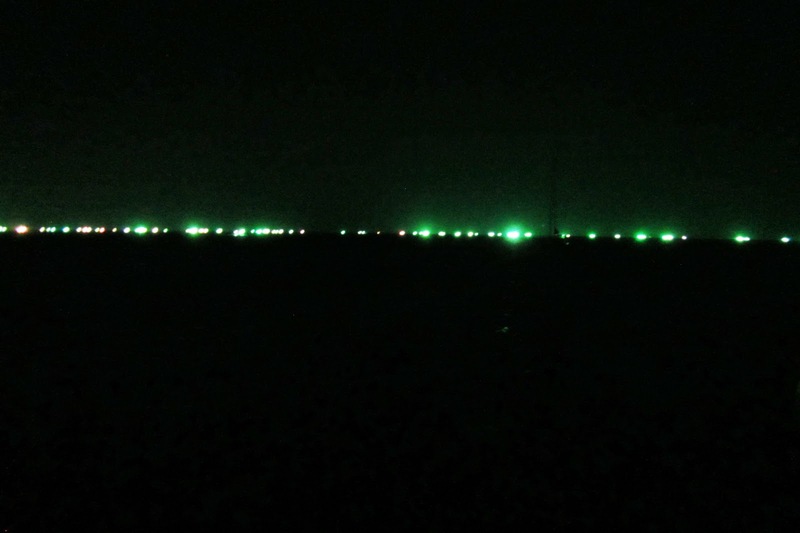 From our vantage point, their bright green lights looked like a well-lit highway out in the middle of the ocean. The town of Kuah is the largest in Langkawi and it’s a popular tourist destination. What was really intriguing to us though is the fact that Langkawi is a duty-free port. This means that there is no import duty on any goods that arrive there, including booze. With the location of a wholesale warehouse scribbled down on a matchbook cover, we set out to find this Palace of Pleasure, driving into some remote parts of the Malay jungle before we found it. This was no Costco although they did have a somewhat eclectic collection of goods. Most of the booze was in arbitrary stacks, none of it priced and most of it looking very dusty. The wine, however, was kept in an air conditioned room although it, too, looked more like a random collection of boxes with no organization whatsoever. Ruthie was able to find a couple of cases of the Italian Pinot Grigio she likes and I bought a case of Absolut vodka in one liter bottles. The wine came out to about US$14 per bottle and the vodka came out to about US$10 per bottle. The five cases of beer we bought was less than US$10 per case. With Rutea’s holds filled with precious but cheap cargo, we checked out of Talaga Bay and Malaysia. 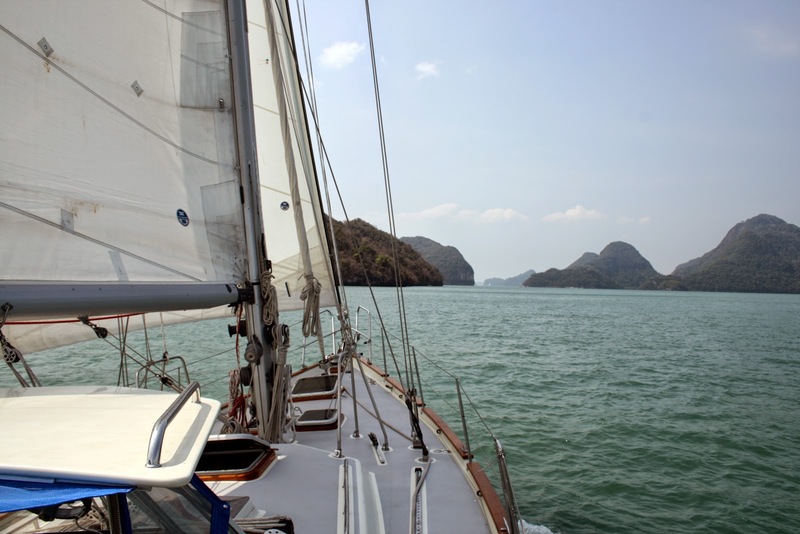 Her bow was pointed northwest and our next destination was Thailand. It is not always easy to explore a new country on your own. So while you are in Vietnam, Green Visa will help you travel the country! Since I have availed their services myself, I can say they are among the best there are!